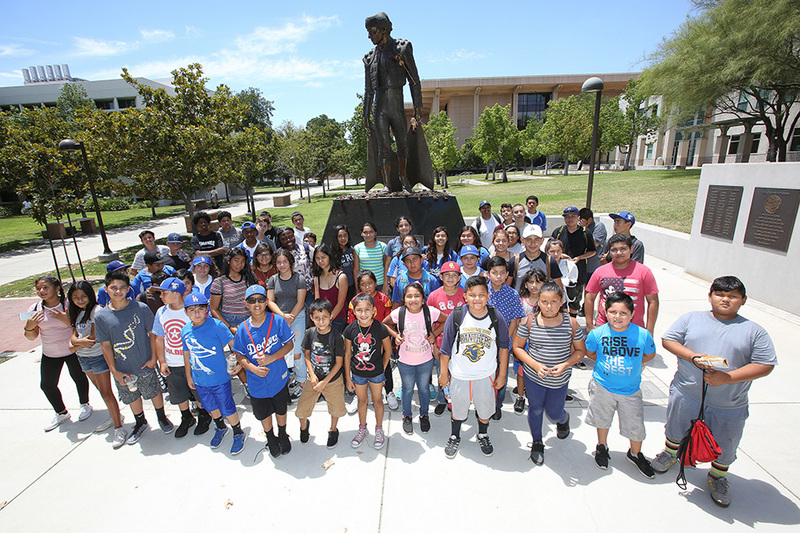 Young people from Dodgers RBI saw various landmarks at CSUN, including the Matador Statue. Photo by Mike Zito/Los Angeles Dodgers. 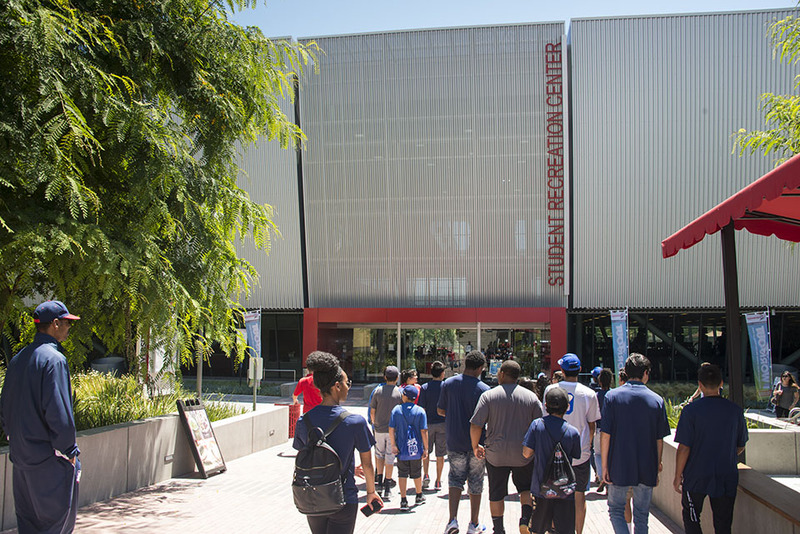 More than 100 students toured CSUN on Dodgers RBI Days. Photo by David J. Hawkins. 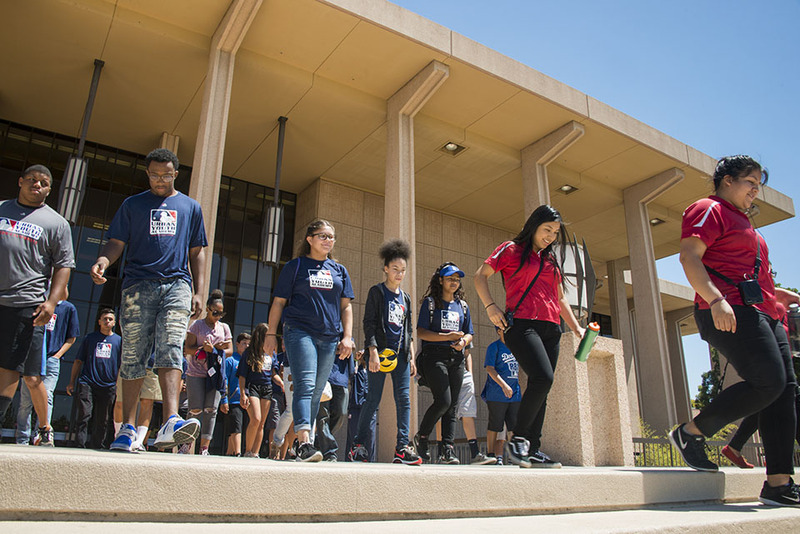 The Delmar T. Oviatt Library was one of many stops during the Dodgers RBI tour, which showed young people about college access. Photo by David J. Hawkins. The young people visited the Matador Bookstore. Photo by David J. Hawkins. 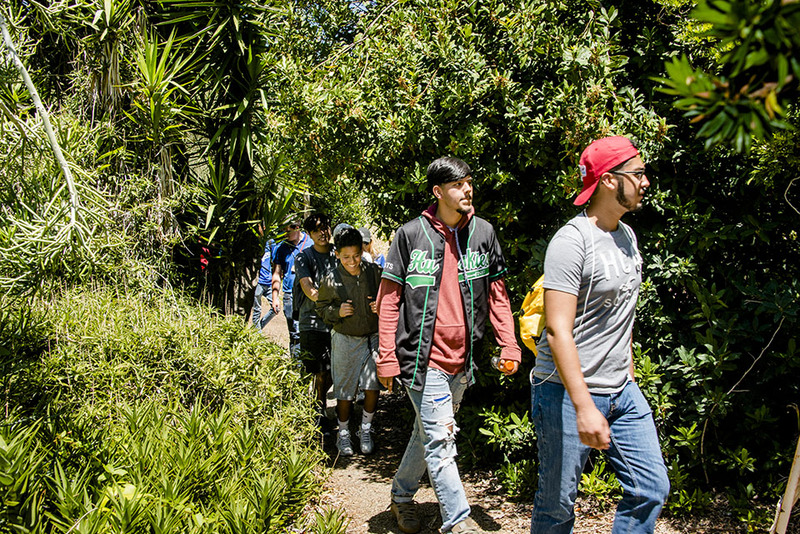 The Dodgers RBI participants walked through CSUN's Botanical Garden. Photo by David J. Hawkins. Young people were impressed when they toured the award-winning Student Recreation Center. Photo by David J. Hawkins. Dodgers RBI participants walking through the University Student Union at CSUN. Photo by David J. Hawkins. 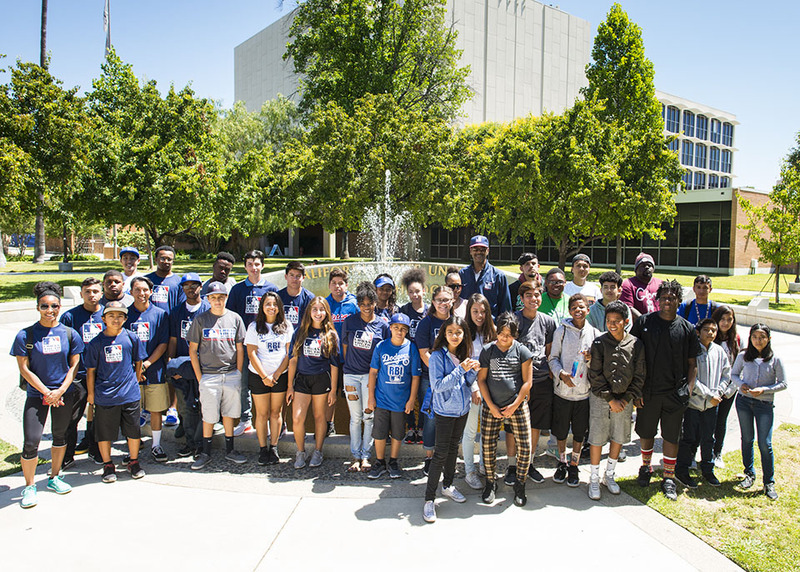 Dodgers RBI participants learn about college readiness and financial aid during special breakout sessions during their college tour at CSUN. Photo by David J. Hawkins. Dodgers RBI participants at the start of the first of two college tours at CSUN, this one taking place on June 17. Photo by David J. Hawkins. 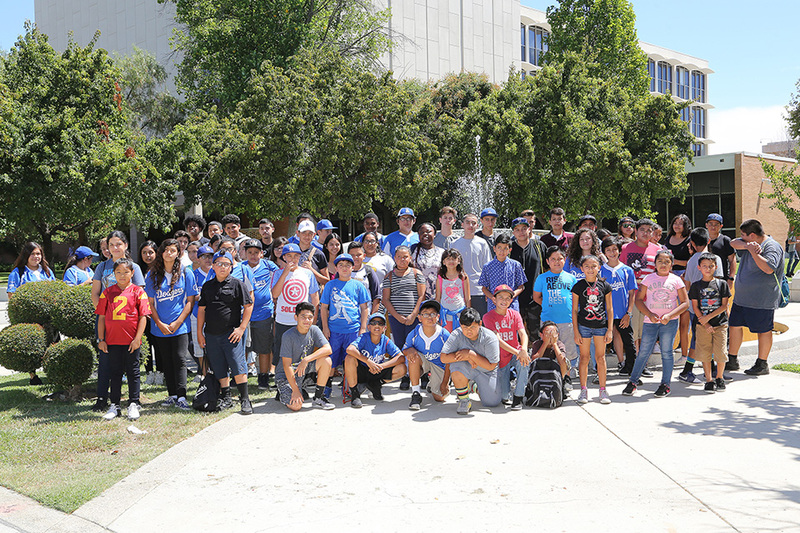 Dodgers RBI participants at the start of their college tour at CSUN on July 27. Photo by Mike Zito/Los Angeles Dodgers. When Justin Gonzalez stepped on the campus of California State University, Northridge the morning of July 27, he was openly wondering about his future. A 16-year-old attending Los Angeles Leadership Academy, he’s a first baseman/center fielder on his high school’s baseball team. He is also a participant in Dodgers RBI (Reviving Baseball in Inner Cities), a program within the Los Angeles Dodgers Foundation. Dodgers RBI is a baseball/softball youth development program for ages 5-18 that simultaneously aims to: increase participation in the sport and use sports participation as an engagement tool to increase access to education, literacy, health, wellness, and recreational resources in some of Los Angeles’ most underserved communities. 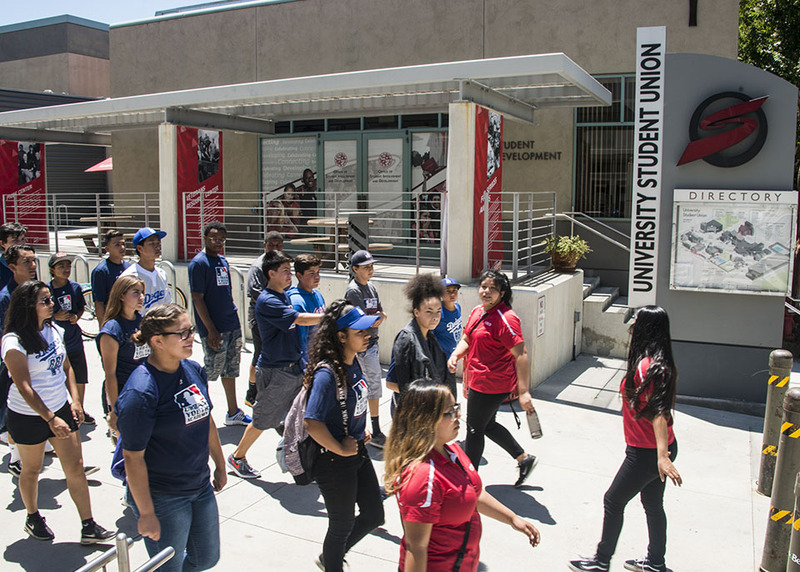 That’s what brought Gonzalez to CSUN on this warm summer day, the second day in 2017 that saw more that 100 young people participate in college tours tailored to them. As he walked the campus and learned about the university, then sat for informational sessions that lifted the veil on what it took to go to college and work toward a degree, Gonzalez started to see his future take form. Making college seem more attainable was the goal for the Dodgers RBI days at CSUN. 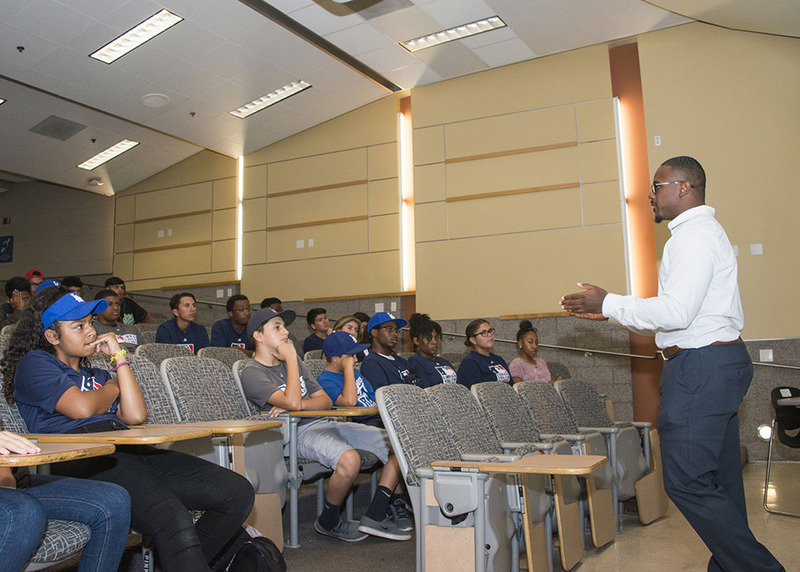 Representatives from CSUN worked with counterparts from the Dodgers Foundation to prepare a day that would be informational and impactful for the young people. The goal was to have these young people see that college could be a reality for them. Vanessa Guzman, 17, was another student touched by the program. Guzman is entering her senior year at Academia Avance Charter High School in Highland Park, where she’s a catcher on her high school softball team. She said she wanted to learn more about the college majors available to her, specifically nursing. 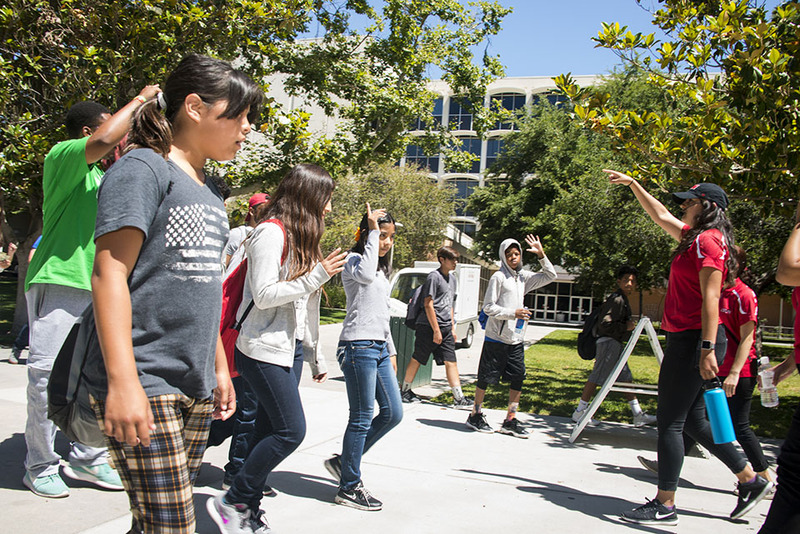 While on the CSUN campus tour, many of the participants like Guzman admired the Delmar T. Oviatt Library, the Matador Bookstore and several academic buildings. She was one of many students fascinated and visibly impressed as they walked into the state-of-the-art Student Recreation Center. The students also learned about financial aid and scholarship opportunities that could be available to help offset the cost of their education. Many of the students said they were pleasantly surprised that this aid was more accessible than they had guessed prior to the visit. Walking around CSUN was an important part of the day, to make college seem more tangible. Tour guides from CSUN’s Student Outreach and Recruitment Department and the administrators who chaperoned the young people shared about their own college journeys to show how higher education was a possibility for the students. Christian Oliva, a recreation coordinator at Montecito Heights Recreation Center, shared his own experiences as a California State University, Los Angeles alumnus. Oliva stressed the difference a college education can make in a young person’s life. “Listening about scholarships, financial aid and loans, it’s become more possible than it was a week ago, because of this partnership with the Dodgers, CSUN and the RBI program,” Oliva said. One person mixing Matador Pride into her work on this day was Brittany Polk ’15 (Theatre). Bringing young people to her alma mater was especially important to her because she is now the recreation leader at Roosevelt Park, which also brought a contingent of Dodgers RBI participants. Polk wanted to show the youngsters she’s working with that she was a “living example” of someone who came from their same circumstances, worked hard and was now back in her old community helping the next generation do the same through the Dodgers RBI program.